A film is a slice of life. When you make a film, whether it be ninety minutes or two-hundred, it is absolutely impossible to squeeze the essence of an entire life that may span eighty years into such a small window. It would be like trying to swallow an entire five-course meal in one mouthful, chances are most of it will end up on the floor and the only debate that will arise will be on the definition of success. Watching a film is like having a conversation with someone. The great ones are the ones you think about and go back to, the ones that you relive and are full of ideas and nuances of expression that are so much more than the simple relaying of historical facts in loosely connected scenes that is the staple of the biopic, films such as Ray (Taylor Hackford, 2004) or Chaplin (Richard Attenborough, 1992), that attempt to capture the lives of men but say less about them than the men’s own bodies of work. The main problem with the long recounts of a person’s whole life is that it requires jumps through time and eras each with their own unique period style, the use of child actors to portray characters in their youth or old actors – or worse, old make-up – for the golden years all of which works to disrupt the mood and the tone of a film. Even a couple of years between the beginning and end of a film’s time-span can have this effect, where it is the capturing of a specific place and time that is the essence of great cinema, whether it be a scorching summer day in a forest in medieval Japan or a cold and bloody winter in some Minnesotan town. The truly great films are the ones in which you are simply dropped into a brief moment in time, often like one of the characters themselves, as if you have walked straight from your own life into somebody else’s world and that these scenes on the screen are a part of your life for this short time. Take Casablanca (Michael Curtiz, 1942). Rick Blaine is a character with a past and with a future that we know little about, we hear he ran guns in Ethiopia and Spain and that ten years before he met Ilsa while she was having a brace put on her teeth he was looking for a job. In Casablanca information is scant, there is a mystery behind everybody but all the characters are so vividly and successfully realised that you do feel very much like you have walked off the street into Rick’s Café Americain. One flashback to Rick and Ilsa’s time in Paris disrupts the events that take place over two nights in Casablanca to give an insight into the relationship of these two central characters. The flashback here is completely in service to the main narrative, for us to understand Rick’s bitterness we must live the pain he lived and relives when Ilsa returns to his life. In this way it is a journey into Rick’s mind within the film’s time span rather than a real omniscient flashback, as we later learn when Ilsa reveals why she abandoned him the day the German’s marched into Paris. The past is always a thing that can oppress and define characters, so its presence can be completely necessary to the short time-span being shown for the simple fact that some past event can be a thing that is always on the character’s mind. The problem then is to reveal this information in such a way that it does not disrupt the film around it. 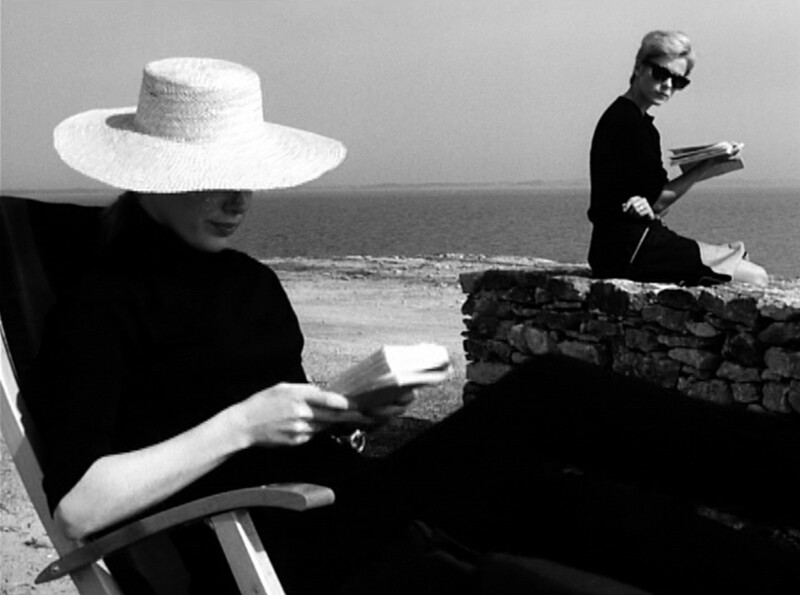 Persona (Ingmar Bergman, 1966) is an example of this done perfectly. In the presence of the mute Lisbeth on a secluded Swedish island, Nurse Alma starts to open up about her own insecurities. She recounts the story of her becoming impregnated on a beach by a boy, the excitement of the event itself and the guilt of the resulting abortion. It is all told in dialogue but it is so vividly expressed that you feel like you were there, or that these events were shown onscreen. While it happens outside the time-span of the film it would be unthinkable to exclude it because it is clearly something that is on Alma’s mind during the time the film looks at. To have characters thinking about things from outside the time-frame of the film is what gives them life, to not have them expressed in some way would be madness, to express it poorly would mean death. A grander example of this is Citizen Kane (Orson Welles, 1941) which may seem like one long biopic from childhood to death but the main narrative of the film is that of a reporter in pursuit of an article that explains the life of this man. The great bulk of the film is flashback with the goal of understanding the man’s last word, “Rosebud”. This is not to say simply sticking a biopic in a framed narrative solves everything as the framed narrative of Cate Blanchett in the hospital in The Curious Case of Benjamin Button (David Fincher, 2008) proves. That film is the kind that does not work, because the purpose of the flashback is simply to recount the events of a man’s life from birth to death, which is the point of the biopic anyway and makes the framed narrative here pointless. Once Upon A Time In America (Sergio Leone, 1981) is less clear cut than either of the above examples as the flashbacks seemingly take place in an opium-induced dream. The various versions of this film that exist make the overall purpose unclear but it could be said to take place inside Robert De Niro’s head, like the flashback in Casablanca. The sequel culture of modern cinema has stripped much of the magic of the medium. Any number of direct-to-video sequels of beloved animations appeared throughout the ‘90s and ‘00s such as The Lion King 2: Simba’s Pride (Darrell Rooney, Rob LaDuca, 1998) or The Little Mermaid 2: Return to the Sea (Jim Kammerud, Brian Smith, 2000) but now these films receive major theatrical releases and even Pixar has begun a shameless nosedive in this direction. Taking characters we grew to love in some way and then examining every aspect of their lives before we knew them then after we knew them is not how we tend to live life and is anti-cinematic. If we go back to see the birth of Rick Blaine in New York and follow his upbringing there then follow his school years as an awkward teen then his release into the wide world then his gun-running activities then his post-Casablanca adventures with Captain Reno then his marriage to whoever he finally settles down with do we still feel the magic of cinema or have we simply picked the carcass clean like vultures with an unquenchable desire for facts rather than humans in pursuit of something beautiful. The Breakfast Club (John Hughes, 1985) follows its characters outside the grind of day-to-day life and is a reaction against routine and the societal expectations of what we should be and how we should act so all the time that takes place outside of the film is seen as oppressive and debilitating. This is addressed directly when Claire tries to get Andrew to admit that having now become friends in the solitude of detention back in the real world he will simply ignore Brian if he greets him in the hallway with all Andrew’s athletic friends around. The film is the perfect example of film as a slice of life. Jack Bender’s hostile home environment is theatrically brought in, with cigar burns as proof and Andrew’s recounting his empathy for a boy he feels he embarrassed for his own father’s approval takes the physical act of sitting in a circle and talking about life and people into that realm in which time starts to flow like sand through your fingers, and cinema is the act of catching that sand in an hour glass, to be turned and let flow again and again without ever losing a single grain. The Breakfast Club is an expression of pure idealism and any sequels or even flashbacks within the film would have robbed it of its rebellious optimism. A number of films take place over many years but do not wear the passage of time on their sleeves. Films like The Godfather (Francis Ford Coppola, 1971) and The Searchers (John Ford, 1954) do not change actors or bury them under tonnes of aging make-up eventhough they take place over a number of years. These films are epics and there is certainly a place for epics in cinema just as much as there is for films that take place over the course of a day or a week, but the difference is that these particular films do not condescend to try and explain the life of one man in their respective run-times, or to show all the key moments of their lives. As Scorsese observes about The Searchers one subtle glance from Ethan at his brother’s wife explains the entire narrative of why he would spend years tracking the Indians who kidnapped his niece. What exactly Ethan’s relationship is or was with his sister-in-law is something we will never know nor will ever need to know to enjoy the film. Like Rick’s flashback and Alma’s confession Ethan’s glance says as much as needs to be said. Real-time is not a commonly used time-span but it has so much potential that it is a great pity it is not utilised more often. The tension in High Noon (Fred Zinnemann, 1956) as Gary Cooper searches futilely for anybody to help him rid the town of the three criminals who have returned for vengeance against him to the backdrop of his having just married Grace Kelly is excruciating and brilliant. As a person living in real time you are aware of exactly how long he has to find someone to take these three men and the result is one of the greatest westerns ever made. 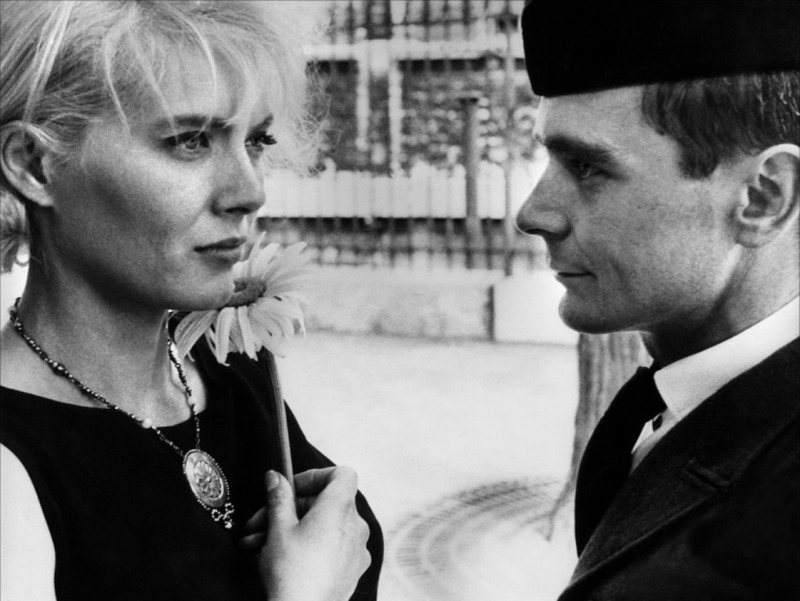 Similarly Clèo de 5 à 7 (Agnès Varda, 1962) follows a woman for ninety minutes through Paris as she awaits the results of a medical examination and the long takes of driving through the city feel like real ennui expressed in deep breaths while the scene in which her songwriters arrive to practice a new song which she then sings passes in a flash; it is relativity captured on film. Hitchcock’s Rope also explores the possibilities available to telling a story in real time, but it is largely unchartered territory in cinema. One of the most interesting American directors is Richard Linklater whose first three films Slacker (1991), Dazed & Confused (1993) and Before Sunrise (1995) all take place in one day, whereas his film Waking Life (2001), for the fact that it takes place completely in a dream, and time passes faster in dreams than in reality, could be said to cover a time-span even less than its run-time. His sequel to Before Sunrise, Before Sunset (2004) follows the same characters as the earlier film only nine years after they first meet. It is a rare sequel that manages to utilise the fact that too much information strips away the magic of certain moments as an artistic tool to show the realities of these characters now in their thirties. It is simply one of the most powerful uses of the effects of time passing ever put to film. His upcoming A Boyhood is another experiment in time in that it began filming in 2004 and has continued intermittently until the present day allowing its actors to age naturally. A number of recent releases have represented interesting uses of time. Elena (Andrey Zvyagintsev, 2011) is a 109 minute film that sets its pace from the very beginning with one long drawn-out shot of the window of a house with a branch in front of it. It does this as a way of cooling off the hectic minds of any cinemagoers who have probably just walked off a busy city street or taken a drive to get to the cinema and now need to be eased into the considered pace of the film. The image cuts to the inside of the house, everything untouched in the early morning and finally we see Elena in bed and watch as she gets up. Very little seems to happen when you watch the film as we follow this woman through her uninteresting daily activities, but when you think back on it you start to realise that the few terrible things that happen in the film creep up on you as they would in reality, you don’t even quite realise something has happened until the film is over, much like a real-life trauma puts a person into shock and denial. Samsara (Ron Fricke, 2012) uses time in a very unusual way. There can be said to be no overall time-span for the film, what it portrays is the world at a whatever time it happened to be filmed, but the cuts between places are purely aesthetic, like that from a sand-filled old church in Louisiana to a Gothic cathedral in Europe. Time-lapse is used as a method of perspective, as the sun floats along the sky we are shown the angles and imperfections of a number of stone heads through how the shadows move, extending from the nose and brow and it is far more impressive than anything 3-D cinema has shown us.